Salmagundi . 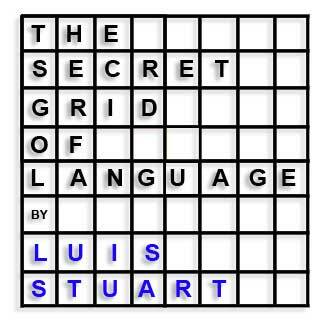 . . a cybernook in StuartXchange, where visitors can linger and browse, skim or peruse through what strangers, friends and kindred spirits have left behind to share. 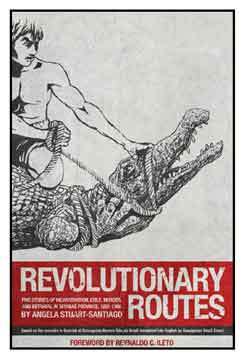 Revolutionary Routes is more than a family history across four generations. Author Angela Stuart-Santiago has deftly woven together the memoirs, clippings, correspondence and other traces of her family's past into a microhistory that spans the late 19th century up to the 1950s. While this book is rooted in the specific experiences of a family that lived in Tiaong and its adjoining towns in southwestern Tayabas (now Quezon) province, it also tells us much, from the ground up, about everyday life in the countryside under the shadow of successive imperial and national regimes. This book can also be read as a modern history of the Philippines. -- Reynaldo C. Ileto. Also available at the Pulang Lupa Foundation Library in Brgy. Lumingon, Tiaong, Quezon. 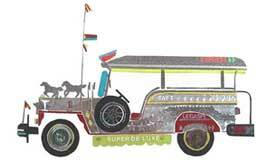 The Jeepney Art Gallery includes Darwin Regner's Dyip and Giovanni Roldan Philippine Jeepney 'Bot' . So, pull up your easy chair, and welcome to this dawdling place. . . Salmagundi.